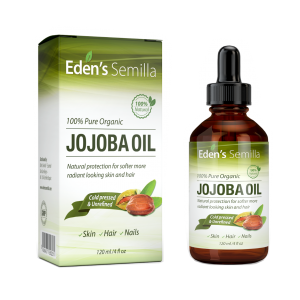 100% Pure Jojoba Oil – 4OZ – Certified ORGANIC – Best Natural Oil Moisturizer for Radiant Looking Skin, Silky Smooth Hair and Strong Nails – Ideal For Sensitive Skin – All Round Protection Day & Night. 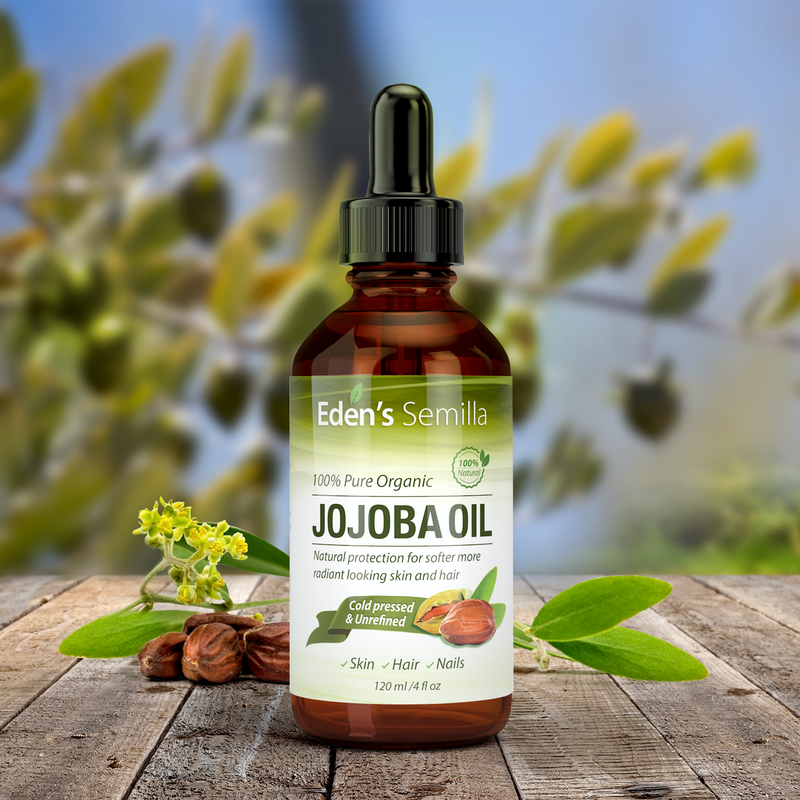 Best For Skin, Hair & Nails: Our Cold Pressed & Unrefined Jojoba Oil is naturally rich in vitamins and minerals making it the ideal choice for a multipurpose oil moisturizer. All round protection that benefits your body literally from head to toe. 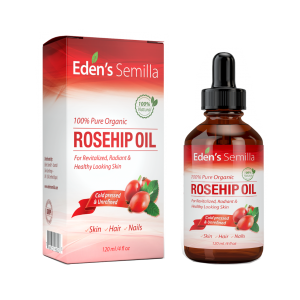 Healthy More Radiant Looking Skin: Natural skin healing properties that helps to guard against skin irritation, inflammation, acne, dryness and chapped skin. 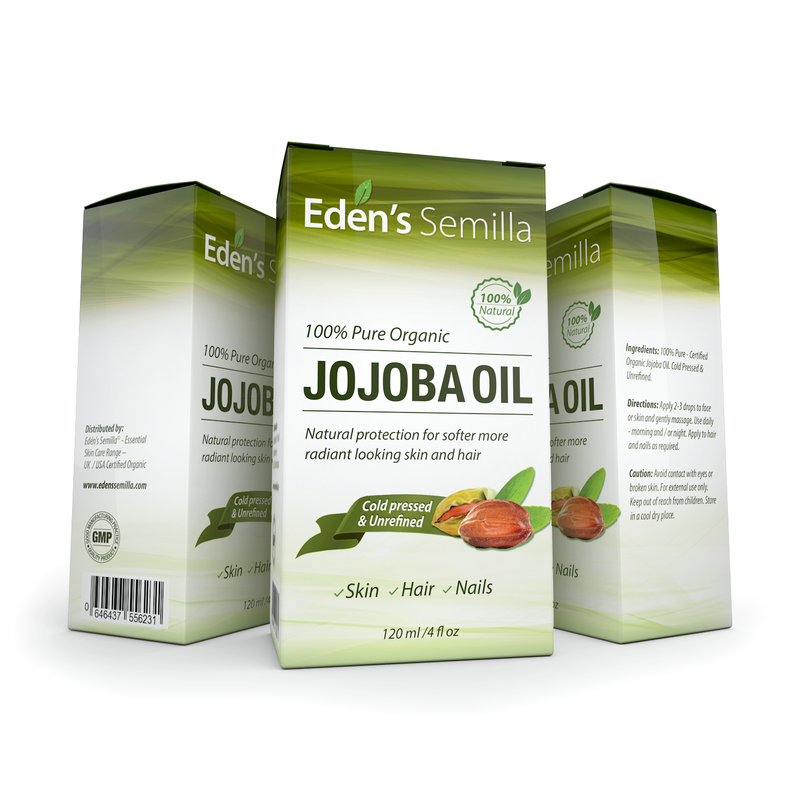 Our oil is fast absorbing and non-greasy making it easy to apply and suitable for all skin types. 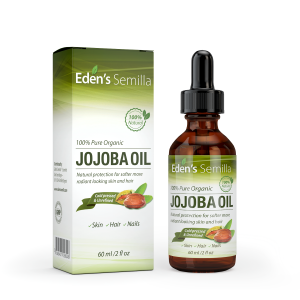 Antioxidant and Vitamin E protection that can repair damaged skin cells and make skin firmer and more elasticated – Promotes the skins natural production of collagen helping to reduce fine lines, wrinkles and even scarring. 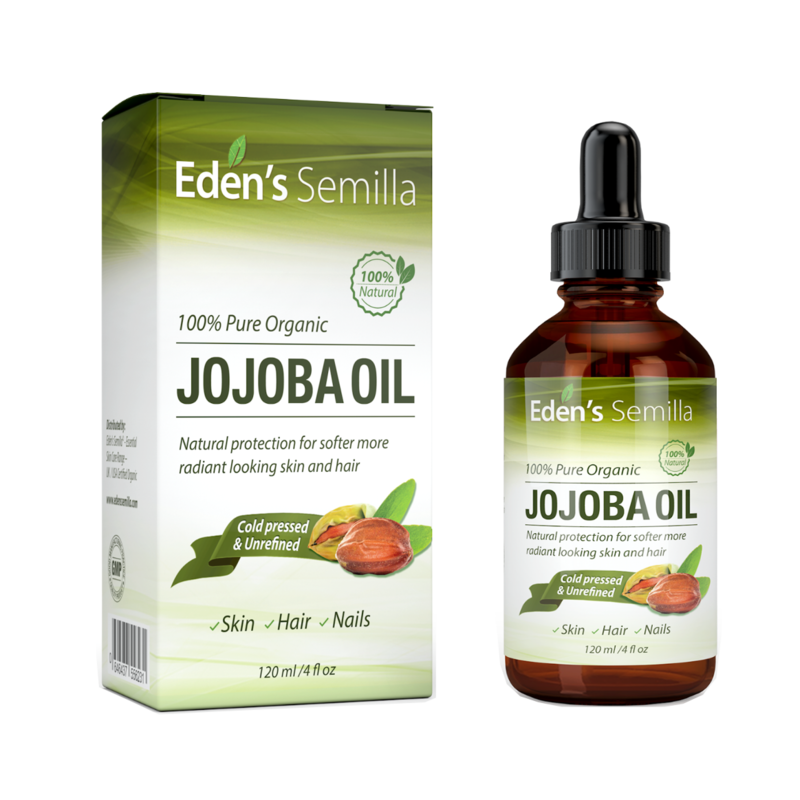 Silky Smooth Hair & Natural Looking Shine: The excellent moisturizing qualities of Jojoba Oil provide ultimate hair conditioning that leaves hair feeling rejuvenated and full of life. Natural antibacterial protection for the scalp that keeps hair looking healthy and clean. 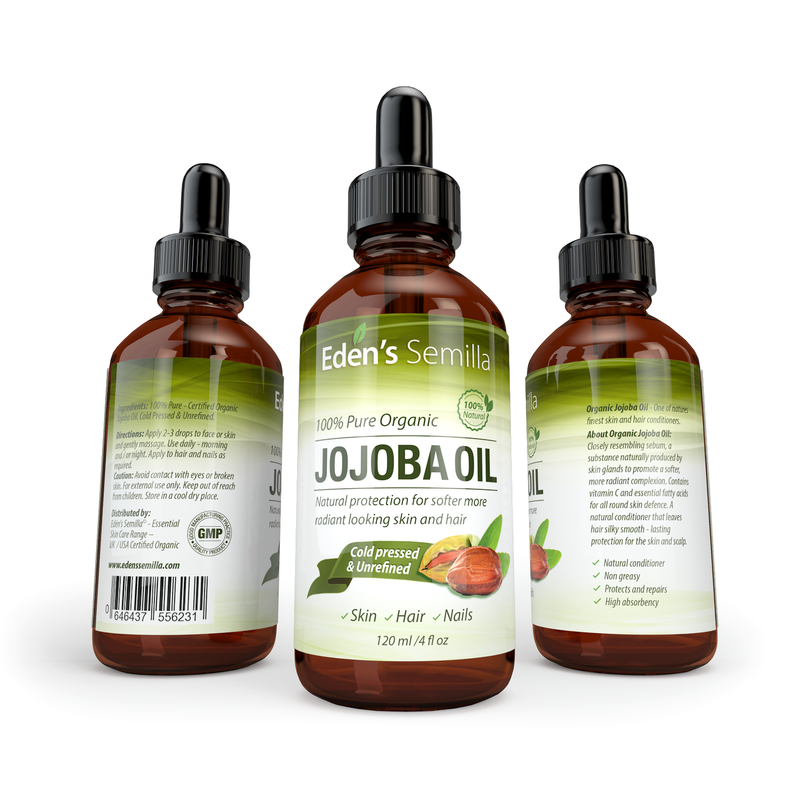 Guards against split ends, thinning hair and promotes natural hair growth. Also great for chapped lips and brittle nails. 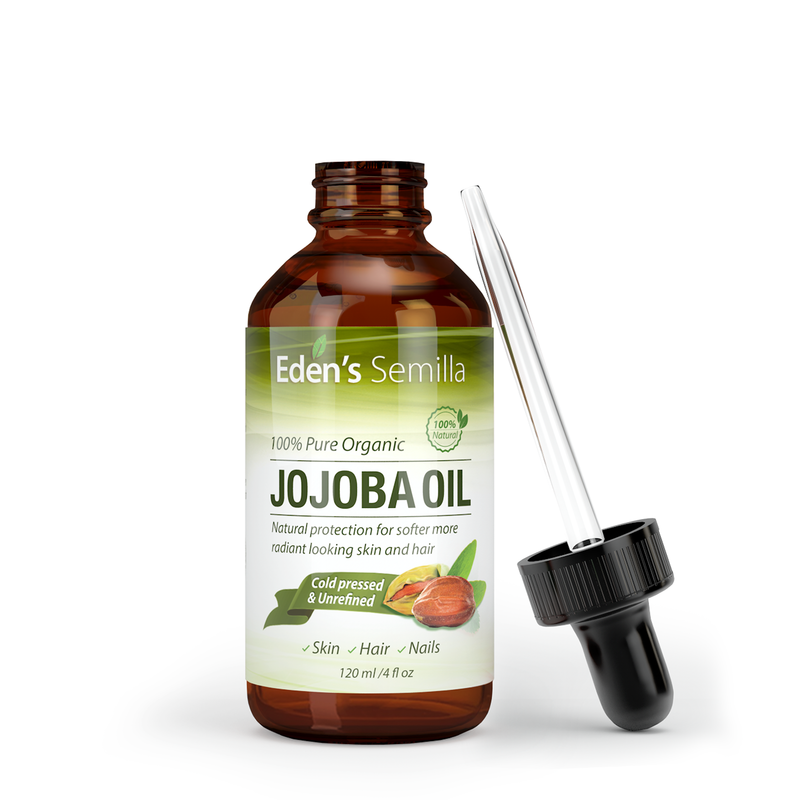 Our Jojoba Oil is 100% natural, pure and organic. A cold-pressed manufacturing process meaning that all those wonderful natural ingredients are retained.